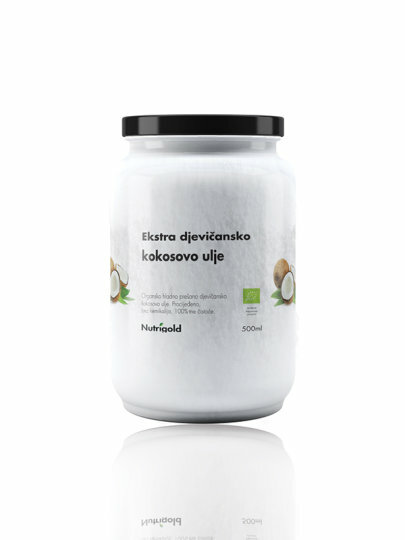 Extra virgin coconut oil 500ml is obtained by cold pressing of fresh and ripe coconut fruit. Extra virgin coconut oil is not subjected to high temperatures or chemical processes. In the kitchen we use it for cooking and roasting, and for roasting it is better to use RBD coconut oil with a melting point of 220 ℃. It is a great addition to the blend of cakes, pancakes or in your favorite smoothie. If you like the taste of coconut, you can add it to soup cream, varieties or ready-made meals. Marked on the back of the product. Guaranteed 6 months.